Does Your Outlook Crash When Printing? Get A Way To Resolve It ! Often users must have come across problems while printing out a particular document. What users generally experience is that an error within Microsoft Outlook causes the email client to freeze out when it attempts to print out the pages. What can be the actual reason for the error creeping in at the time of printing; when usually it is found out that the users can have a nice print out from other applications? Let us find out the exact reason for this error. One of the reasons for the occurrence of error in Outlook that has been figured out is the OutlPrnt file. Microsoft-Outlook maintains all the settings related to printing style in a special file known as OutlPrnt. When this file gets corrupted, Outlook starts freezing and crashing all of a sudden. Further, it has been noticed that when there are corruptions in OutlPrnt, messages are printed from right-to left instead of the regular left to right printing format. Now, the question is how to resolve such an error that has occurred with OutlPrnt file of Outlook? An approach to resolve the corruption issue with OutlPrnt file has been discussed below. While working out on different methods, the solution for the above problem was found out. The steps discussed below can be executed to resolve the problem with Outlook. If Outlook is open, then exit all the operations and close Outlook. Navigate to the location where the OutlPrnt file exists. Rename the OutlPrnt file to Outlprnt.old. Now, again restart Outlook and go for test printing. OutlPrnt-file is located in a hidden folder. However, you can trace it conveniently by pasting the path that has been mentioned above on the address bar of File Explorer. Note:Here, \%username% denotes the original username of the user who has been experiencing problems with Outlook while printing. After carrying out the settings given above, Microsoft Outlook should not show signs of freezing anymore. 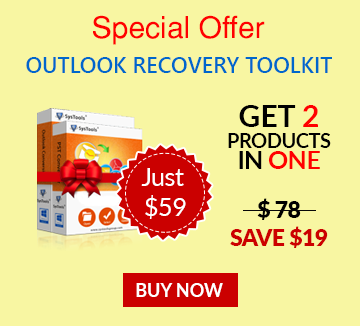 The method helps in restoring the normal operation of Outlook while printing.